With its Chief Financial Officer out on bail facing charges of violating economic sanctions, and US-led claims of security failings, the end of 2018 has been a difficult period for Chinese tech giant Huawei. In an effort to share its side of the story, the company invited various media outlets to its new campus in Dongguan, Guangdong Province, where it rebuffed claims of governmental interference and security shortcomings. 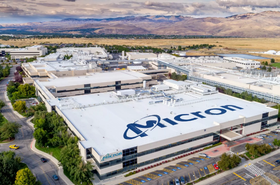 Given the ongoing legal proceedings involving its CFO, the company declined to talk about the case, but said it operated "a well-running trade compliance management system." Every six months, Huawei switches its rotating Chairman (previously known as rotating CEO) mantle between three deputies, who remain under the guidance of the company's founder Ren Zhengfei (father of beleaguered CFO, Meng Wanzhou). During a previous press trip attended by DCD, representatives from Huawei compared the unique corporate set-up to that of migrating geese - which take turns to lead a flock during long, arduous journeys over troubled waters. Ken Hu is the latest to occupy the hot seat, and was quick to point out that - despite the headlines - business was booming. "This year business has been very good for us. We are pretty sure that, by the end of this year, we will achieve more than US$100 billion in total revenue. "Our enterprise business has seen very good progress as well. We secured more and more contracts with leading global companies. This year more than 200 companies in the Fortune 500 selected Huawei as the vendor for their digital transformation. So this is a big step forward as well." But Hu admitted: "Of course, at the same time, we're facing some challenges. You are all aware of the allegations that have been made against Huawei this year. Despite the efforts in some markets to create fear about Huawei, and to use politics to interfere with industry growth, we are proud to say that our customers continue to trust us and recognize our contribution to the industry." Those allegations - which have increased markedly this year, but some date back a decade - claim that Huawei is used as a tool of the Chinese state, with improper ties between the People's Liberation Army and the telecommunications supplier. "Very early on we announced our ownership structure so that people all know that Huawei is a private company that is owned by its employees," Hu said, distancing the company from the government. But the ownership structure remains confusing to some outside observers. 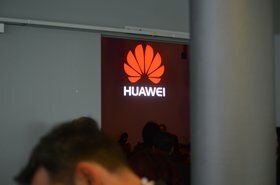 A 2013 report produced by the UK's Intelligence and Security Committee states: "Huawei strenuously denies that it has direct links with the Chinese Government or military, claiming that it receives no financial support from the Chinese Government and that it is 98.6 percent owned by its employees. Nevertheless, [redacted] there is a lack of clarity about its financial structures. "Moreover, Huawei’s denial of links to the Chinese State is surprising, given that such links to the State are considered normal in China. As the Government Communications Headquarters (GCHQ) explained: 'This close relationship between commerce and the state is seen in China as normal and acceptable because success is deemed to be for the benefit of all.'" In fact, the US government itself struggled to unpick Huawei's motives and structure during its own secret spying operation. In 2007, the National Security Agency began a cyber surveillance mission, known internally as Shotgiant, to learn the company's plans, its clients, and - ironically - to be able to exploit Huawei's products in its own surveillance efforts. In documents released by Edward Snowden to Der Spiegel, the NSA called the threat posed by Huawei "unique" and said that "the intelligence community structures are not suited for handling issues that combine economic, counterintelligence, military influence and telecommunications infrastructure from one entity." Speaking to reporters, Hu reaffirmed that Huawei "have never taken any requests from any governments to damage the business or networks of our customers or other countries. As I mentioned earlier, for any concern, the best way is to let the fact speak for itself. The fact is that over the last thirty years, there's been no major cyber security incident; there's been no cyber security threat; and there's been no evidence showing that Huawei is damaging cyber security." However, he conceded that the company had to follow national law: "Of course, just like the US and Australia, China also has certain legal requirements for counter terrorism or cyber security objectives. China also specially emphasizes that all government institutions or agencies must enforce the law according to the law. There are clear definitions. "For Huawei, our approach is to address these issues in strict accordance to the law. In the past, we haven't received any requests to provide improper information. In the future, we will also follow in strict accordance to the law in dealing with similar situations. When we talk about according to the law, the law has clear stipulations around the terms of reference for related agencies." What would be classified as "improper information" is not clear. Key to Hu's defense is the fact that, despite numerous statements by US agencies and government officials, there exists no public proof of those claims: "If you have proof and evidence, it should be made public, maybe not to the general public, not to Huawei. But at the very least, it should be made known to telecom operators, because it's telecom operators who are going to buy from Huawei. "So the question I want to ask is for a company with a $100 billion in revenue, with businesses in 170 countries, with the fact that we’ve provided leading products to most telecom operators around the world, we serve hundreds of Fortune 500 companies, we also serve hundreds of millions of consumers around the world – you say Huawei is a cybersecurity risk without any proof. On what grounds?" Indeed, Hu is not alone in making this observation. Last week, president of the German Federal Office for Information Security (BSI), Arne Schönbohm, told Der Spiegel that there is "currently no reliable evidence" of Huawei posing a risk. While no evidence has been provided, perhaps the closest the intelligence officials have ever come to accusing Huawei of a specific security incident was related to its operations in Africa. In November, The Weekend Australian reported that the nation's intelligence services believed Huawei had been complicit in a Chinese espionage attempt. They claimed that the Chinese government used Huawei’s staff to get access codes to infiltrate an unidentified foreign network. It is not clear if that network was the African Union’s Ethiopia headquarters, which Le Monde reported saw data exfiltrated from its network every night for a period of five years. The African Union headquarters were funded by the Chinese government, and built by a state-owned company as a 'gift.' It is not known which company supplied the servers, but data was sent using Ethio Telecom, whose network was primarily built out by Huawei, along with China's partially state-owned ZTE. The Australian government, which made the claims, was one of the first to follow the US' lead in restricting Huawei equipment in its infrastructure procurement. This, Hu said, was a costly decision. "Without Huawei's participation, the cost for deploying wireless base stations in Australia would be higher by 15 percent to 40 percent. And the cost of building up an entire network would be higher by several billion Australian dollars. Even worse, the time for people to adopt and use 5G technology would be delayed." Whether those exact figures are correct is hard to judge, but most agree that Huawei's network equipment is often cheaper than its competitors' products, and that the company is a leader in 5G development. It is these two facts that help Hu remain confident (at least outwardly) about his company's future. "We are not seeing as pessimistic a picture as was described just now," he said in reply to a Bloomberg reporter's question about businesses replacing Huawei equipment. "We didn't see operators saying they want to swap out Huawei equipment or they want to stay clear from Huawei. 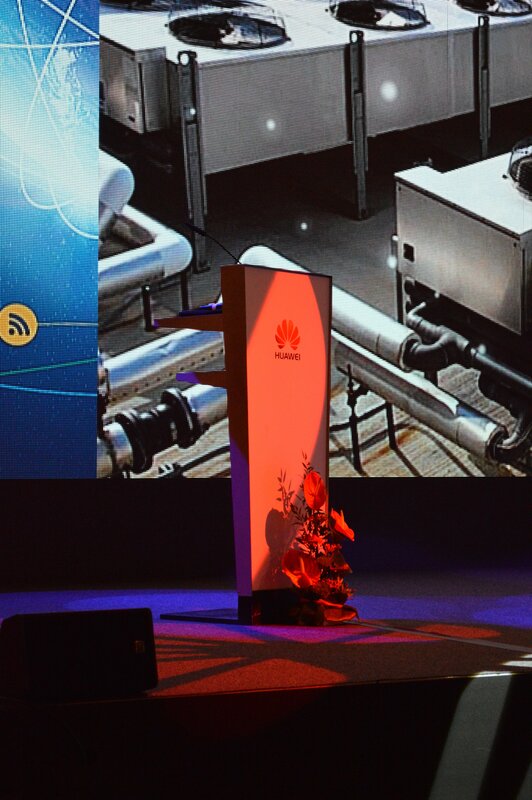 On the contrary, out of the hundreds of operators we work with in the world, almost all of them are saying they want to work with Huawei, using Huawei equipment for their 5G networks, because they know we are the best. Only by using the best equipment can they build up their 5G networks faster and can they build up their 5G networks in a more cost-competitive way." For some, however, it does not matter if the claims against Huawei are true - just the appearance of using its equipment, or the threat of US supplier sanctions, are enough to make some wary. 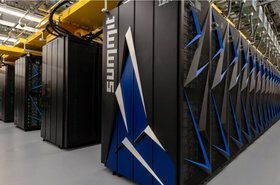 "I would think enterprises would have more confidence in US-based vendors as compared to using Chinese vendors - especially when you're talking about moving all your mission critical data in the cloud, it could pose a threat," Equinix's EMEA senior manager of solution marketing, Sachin Sony, told DCD during a conversation about Chinese companies breaking into the West. "Especially going forward, if that becomes a barrier to entry to do business with, I think they would have to go down the route of diversification there." Moving into 2019, this will remain one of the biggest stories in technology, with the fate of Huawei potentially in the balance. 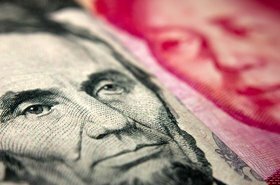 Hu ended his comments with a Chinese saying '道阻且长，行且将至.' "It means that the road ahead is long and hard, but we will keep moving and reach the destination, because we have already embarked on this journey." Starting in April, that journey will be lead by Eric Xu, who will rotate in as the new Chairman.